your company to being one of the Best Places to Work in 2018. 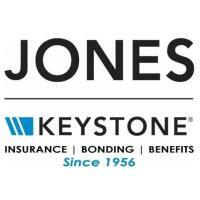 Jones Insurance Agency is the best place to work for many reasons. We are an organization that is built on teamwork in a family atmosphere. Credit for this goes to every one on our team who takes pride in their work and always goes above and beyond to beat customer expectations. They also go out of their way for the teammates on a regular basis. As a result, our team has created an environment where they work as a family, collaborate and assist one another in tasks as needed. We believe this teamwork is one of the key reasons why Jones Insurance continues to be a great place to work. We try to make if feel less like work and more like home. Jones believes in investing in the team by supporting training programs and continuing-education classes to gain further knowledge that can be transferred back to their jobs, the team and the customer. We heavily invest in the team’s quality of life by offering a very generous benefits package that includes employer-paid medical and dental insurance, company-matching retirement, life insurance, short-term disability, generous amounts of PTO, inclement weather days, and an array of ancillary services that team members may elect. The company recognizes the importance of being involved in the community that supports our business. We support many charities financially, but more importantly our team is encouraged to spend time in the community volunteering. We enable that by offering additional paid-time-off each month for volunteering. We also offer many other perks such as company swag, “flexible Fridays” (half-day off every other week), spring and fall family picnics, Christmas banquet, catered lunches, and special wellness programs which include health screenings, lunch and learns and wellness subscriptions. How do you raise employee morale? Jones Insurance Agency celebrates the accomplishments and special days of our team each month with an all-company breakfast. There we recognize educational feats, anniversaries, birthdays, customer service successes, etc. We also have scheduled theme-months where we may support a local charity or have a health/weight-loss challenge and food/baking challenges. We frequently host pot-luck lunches to showcase culinary talents and we have an employee “fun committee” that is always coming up with fun theme-days, volunteer sessions, and challenges that help lighten the mood and build comradery. Name a unique benefit or perk you are offering employees this year. One of our traditions for over 60 years is to provide a paid half-day during the State Fair to encourage folks to take their families and enjoy it. We also implemented Teledoc service, to help our team avoid waiting in doctors’ offices for simple medical issues they or their family might have. What's a unique workplace feature or space that you offer employees? Jones Insurance Agency provides a great breakroom that is loaded with goodies including a healthy seasonal fruit box that is delivered weekly with delicious produce from our local vendor. We also started a community garden this year that our team built, planted, maintained and harvested. This resulted in a great “Tomato Sandwich” day! What will you do to raise your scores even higher next year? For the upcoming year we are planning to add a concierge service. This new service will run personal errands for employees (groceries, dry cleaning, returns, gift shopping, etc). They will even wrap presents at Christmas.